Join us for a lively evening with one of the most exciting artists working in Britain today, Rana Begum, in conversation with Anne Barlow, Director of Tate St Ives, who hosted Rana’s solo exhibition in 2018. The talk will coincide with the Whitechapel Gallery's exhibition Is This Tomorrow? which includes Begum's work. (14 Feb-12 May). 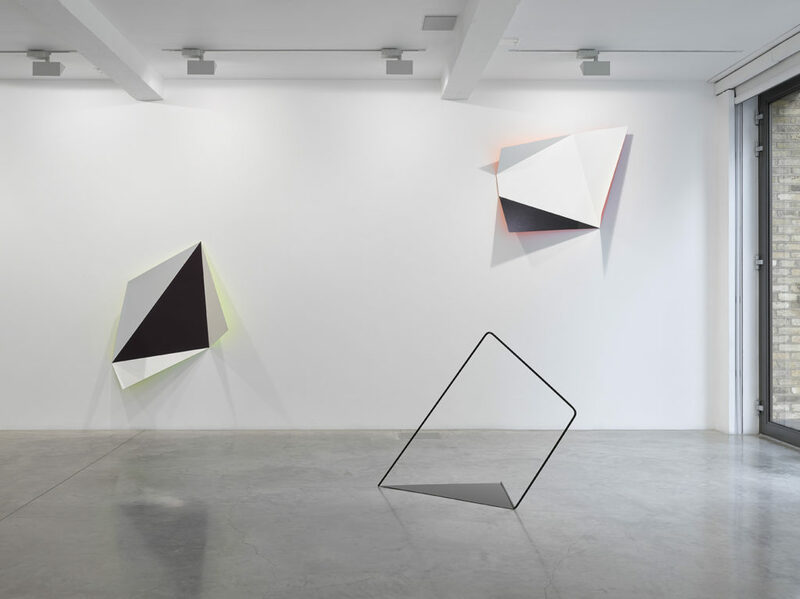 The work of London-based artist Rana Begum distills spatial and visual experience into ordered form. Through her refined language of Minimalist abstraction, Begum blurs the boundaries between sculpture, painting and architecture. Her visual language draws from the urban landscape as well as geometric patterns from traditional Islamic art and architecture. Light is fundamental to her process. Her works absorb and reflect varied densities of light to produce an experience for the viewer that is both temporal and sensorial. Born in Bangladesh in 1977, Rana Begum lives and works in London. In 1999, she graduated with a BA in Fine Art from Chelsea College of Art and Design and, in 2002, gained an MFA in Painting from Slade School of Fine Art. Recent and forthcoming exhibitions include: Is This Tomorrow? Whitechapel Gallery (2019), Frieze Sculpture Park, Regents Park (2018), Frieze solo show, Regents Park (2018), Solo show, Christian Lethert, Cologne (2018), solo show, TATE St Ives (2018), Actions, Kettle’s Yard (2018), Women to Watch: Metal, Philips Gallery (2017), Occasional Geometries, Yorkshire Sculpture Park (2017), Things That Soak You, Kate MacGarry (2017), 31 Women, BreeseLittle (2017), Space Light Colour, Sainsbury Centre for Visual Arts, Norwich (2017), The Order of Things, The Wilson (2017), Tribute to Sol Lewitt, Gemeente Museum Den Haag (2016), Flatland/Narrative, MRAC Serignan, The Space Between, Parasol Unit (2016), Into boundless space I leap, Maxwell Centre, UK (2016), 11th Gwangju Biennale, Korea (2016), Towards an Infinite Geometry, Jhaveri Contemporary, Mumbai, India (2015), Future Light, Vienna Biennale 2015: Ideas for Change, Austria, Solo Show, Galeri Mana, Istanbul, Turkey (2014), Solo Project, Dhaka Art Summit, Dhaka, Bangladesh (2014), Manifold, Galerie Christian Lethert, Cologne, Germany (2013). She has also participated in many international group exhibitions, including: New Visions, Tensta Konsthal, Stockholm, Sweden (2016); Geometries of Difference, Samuel Dorsky Museum of Art, New York, USA (2015); The Language of Human Consciousness, Athr Gallery, Jeddah, Saudi Arabia (2014); Summer Exhibition, Royal Academy of Arts, London, UK (2012) where she received the Jack Goldhill Award for Sculpture. She was recently awarded the 2017 Abraaj Group Art Prize. 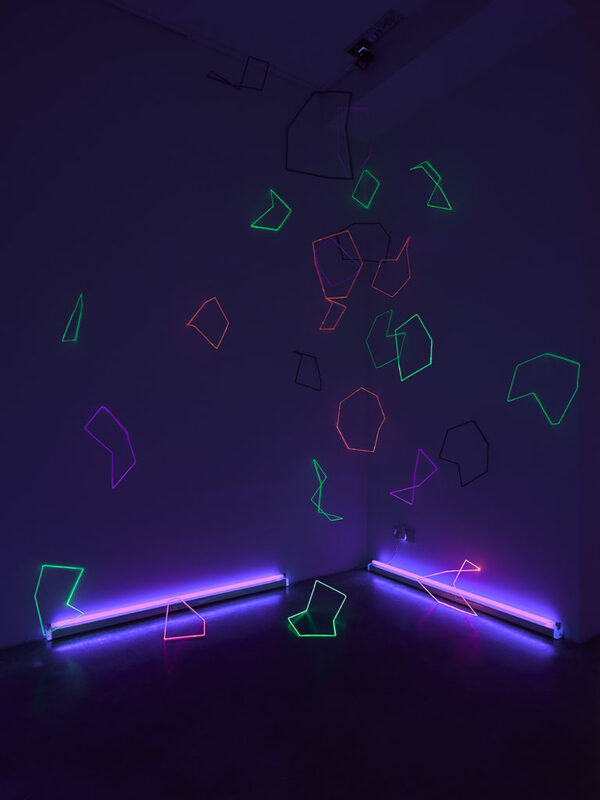 Rana Begum: The Space Between, installation view at Parasol unit, London, 2016. Photography by Jack Hems. Courtesy of Parasol unit foundation for contemporary art. Sign up to our mailing list for all the latest on this year’s events, and visit our Eventbrite profile to book more tickets!